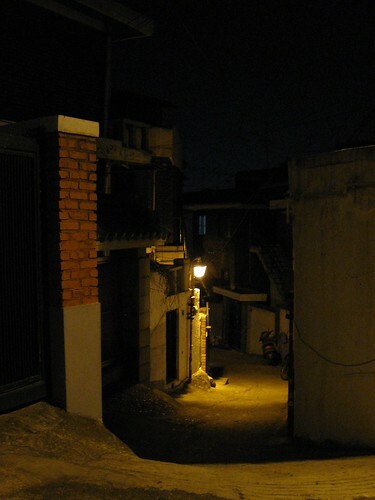 Seoul by Streetlamp – Hello Korea ! So I went out “dumpster diving” (actually there aren’t dumpsters in these mid-density areas, just curbside collection sites. Well, actually there aren’t curbs in half of the places as well, so I guess they’re just collection sites) for used newspapers for an art project, and had to stop and take a couple photographs. 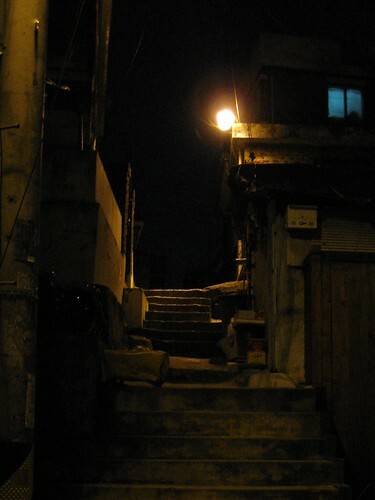 Seoul is a really romantic place at night. The bridges are lit beautifully, the historic sites are like lanterns, and then the twisting streets of constantly changing elevation provide always interesting vantages and secret places to steal a kiss. Somewhere in storage is my coffee table book, Paris by Night by Brassai. 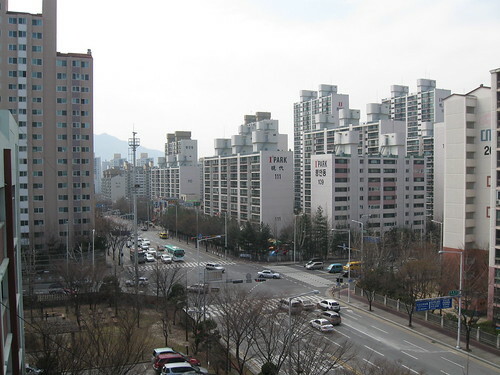 Seoul has its own je ne sais quoi as well. Too bad there are no middle aged romantic men in Seoul for me to experience this fully. I think Paris has them all: she is mighty stingy, keeping them all to herself. Hoping he’ll turn into a prince. 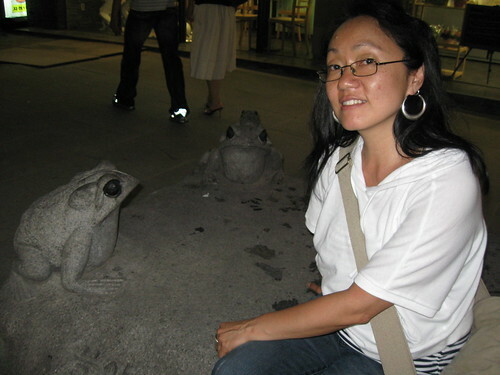 there surely weren’t any frog princes there, and at least in Seoul there is magic on the streets right outside my door.